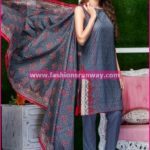 In early 1900’s, a textile industry was launched with the name of Alkaram Textile Industries in Pakistan, and later the industry came up with many other diversified brands or should I say industries and took the flight to worldwide fame. 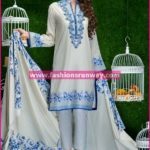 Alkaram group of industries are specialized in men, women and kids clothing along with household accessories like bed and sofa covers, curtains, cushions and apparels etc. Alkaram Studio designs, manufactures and sells the brand products by their own. They have their outlets all over the world and manages to sell to some of the big retailers so that the customers could get their favourite brand product from their nearest store. Summer is a season of festivities and parties and Alkaram knows it very well. 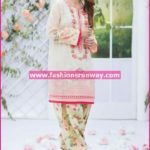 So the women who loved to have parties and fun around, should get ready to celebrate summers with new Alkaram summer lawn 2016 collection. 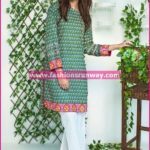 Every time they launch new collection they come up with hodgepodges of joy, freshness, unique and enchanting designs, beautiful prints either digital or block-printing and stylish embroidered panel designs. Summer 2016 already at your doorstep so is Alkaram’s new lawn collection. This summer will be funky, feisty and classy so is the collection. 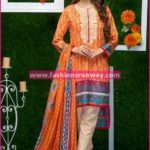 The collection includes beautiful yet low cost digitally printed three piece suits with lawn dupatta, four piece suits with chiffon sleeves and chiffon dupatta, embroidered dresses includes neckline panels, border panels with chiffon dupatta and sleeves. The printed patterns are mesmerizing and enchanting with traditional and classic touch. 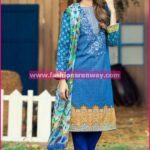 The traditional shalwar kameez styles are very stylish and eye catchy for women who prefer classical touch in their everyday life either in offices, colleges or universities. This summer the colour schemes that will be on demand are green, lime, orange, blue, light purple, white or off-white etc. in fact all those colours that look soothing and very much refreshing to eyes. 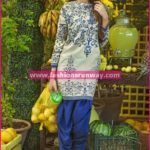 Alkaram ready to wear kurtis and unstitched shirts are specially designed for young girls who wanted to look enchanting and mesmerizing all day every day and every time. Alkaram is that fashion beast that will turn you out to be the fashion Diva of times. 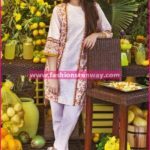 Check below here full online magazine catalogue of Alkaram Studio premium quality luxurious lawn collection 2016 for women. Have fun partying with Alkaram!